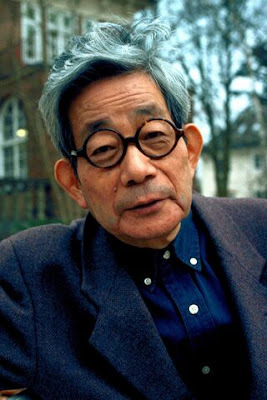 Kenzaburo Oe, the Japanese Nobel Prize-winning novelist, known to Americans most prominently for A Personal Matter, recently contributed a short piece to the New Yorker’s Talk of the Town (“History Repeats,” The New Yorker, 3/28/11) about an article he’d written previously. Oe explains that he had written a piece “the day before the earthquake” and that it “was published a few days later, in the morning edition of Asahi Shimbun.” “The article,” Oe writes, “was about a fisherman of my generation who had been exposed to radiation in 1954, during the hydrogen-bomb testing at Bikini Atoll.” What is striking about Oe’s piece is the fact that the whole subject of radiation poisoning was on his mind even before the catastrophe occurred, and that the fisherman he was writing about was someone he’d “first heard about...when I was nineteen.” “Was it a kind of somber foreboding that led me to evoke that fisherman on the eve of the catastrophe?” he asks. The fisherman has devoted his life to “denouncing the myth of nuclear deterrence,” and Oe himself was involved with “looking at recent Japanese history through the prism of three groups of people: those who died in the bombings at Hiroshima and Nagasaki, those who were exposed to the Bikini tests, and the victims of accidents at nuclear facilities.” George Santayana once famously said, “Those who cannot remember the past are condemned to repeat it,” and that is the conundrum Oe raises. He goes on to distinguish between natural and man-made “phenomena.” “What did Japan learn from the tragedy of Hiroshima?” Oe cries out. Has Japan remained truthful to the principles of its post-World War II Constitution, “which included the renunciation of the use of force and, later, the Three Non –Nuclear Principles”? Late in his own life, Oe is writing a “last novel” that he hopes will start with “the last line of Dante’s Inferno: ‘And then we came out to see once more the stars.’” With the human propensity to deny and forget the past (which Oe himself points out), one wonders if there isn’t something quixotic about Oe’s optimism.